A pack of 50 seal wafers in a range of diameter and colour options. Price below includes VAT and postage to the UK. 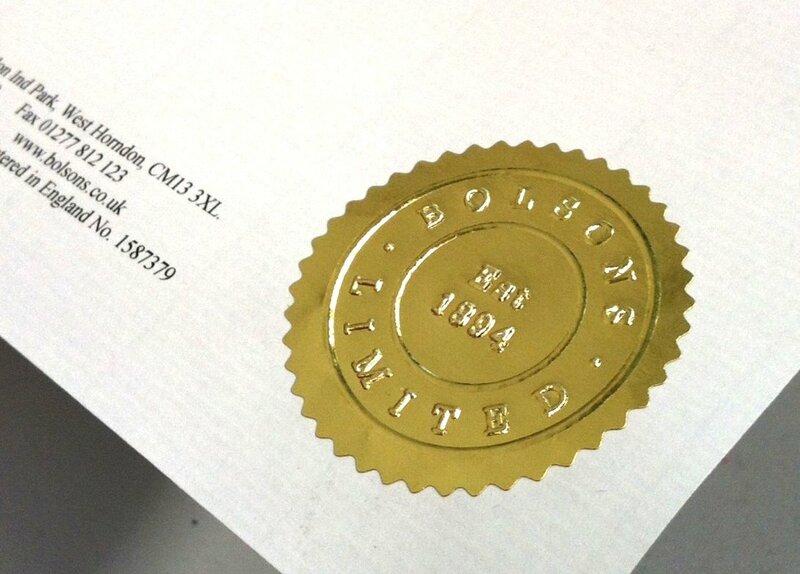 Seal wafers are self-adhesive and designed to add a flourish or certification to your documents and postage. Available in 45 or 51mm with a serrated edge in gold, silver bronze or red (please choose your options below before ordering.) 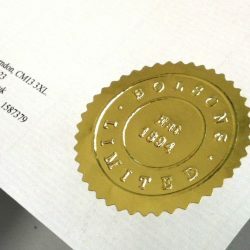 Seal wafers are regularly used on certificates to provide a professional finishing touch, ensures the recipient will value the award, or on gift packages to create a decorative flourish.